Niles will serve as creative director, Pizzolo as president, and Gurewitz's Epitaph Records will power the operation. "Comics have become this monopolized walled garden where you're only allowed to grow two things: superheroes and movie treatments," Pizzolo told Wired. "We're going to open a new space outside the entrenched market where we can cultivate more subversive, experimental, and literary comics to reach broader audiences." "With both Godkiller and 30 Days of Night we discovered a large community of readers outside the comic market who really had no idea how to get comics," said Niles. "This is a way to reach those people again and expand the comic reading audience." "Comics and punk have a lot in common, being transgressive art forms with under-appreciated potential for social influence," Gurewitz told Wired. Bringing Chet Zar's Black Magick to comics will be one of Black Mask's first publications. 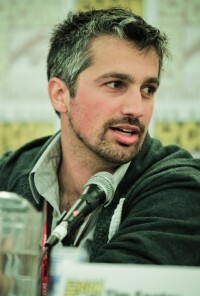 Pizzolo initially designed the business model as an extension of his Kickstarter campaign for the Occupy Comics project he organized. The charity anthology features an eclectic roster of over 50 comics creators including Alan Moore (Watchmen, V For Vendetta), David Lloyd (V For Vendetta), Amanda Palmer (Dresden Dolls), Charlie Adlard (The Walking Dead), Ben Templesmith (30 Days of Night), Molly Crabapple (Shell Game), Darick Robertson (Transmetropolitan), Michael Allred (Madman), many more. "I was hoping to partner with a publisher for the Occupy Comics release since it's been a 100% volunteer effort, but I wasn't satisfied with any of the offers," said Pizzolo. "So instead I decided to create the right option." 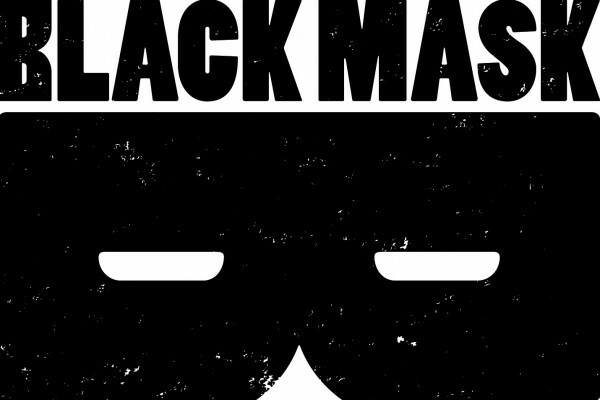 Black Mask will launch by distributing Occupy Comics (without taking a fee from the charity-based project), but Niles and Gurewitz recognized the model could be expanded to support other creators in the comics market. "I'm really excited about this project," Niles told Wired. "Since the advent of the direct market and the disappearance of the spinner rack, I've watched comics sales fall due to lack of exposure. This is a solid way to reach an untapped market of people who may not have interest in mainstream superhero fare"
"Leveraging Matt's brilliant Occupy Comics model with Black Mask Studios might be disruptive, in a really good way, for both artists and fans," Gurewitz told Wired. Black Mask Studios will focus on a hybrid digital/physical release model distributed through multiple pipelines including massmarket and direct-to-fan as well as the existing comics market. 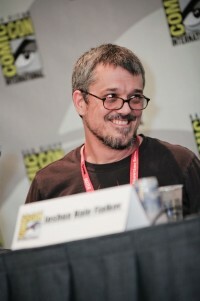 The company will borrow successful elements from music and film's transition to digital (which Gurewitz's and Pizzolo's companies have weathered) such as leveraging devalued/pirated digital content into larger audiences for branded merchandise, events, special editions, and transmedia worldbuilding. 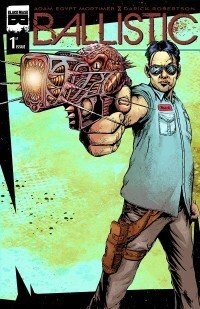 Pizzolo tested the hybrid model with his Godkiller 2: Tomorrow's Ashes mini-series, offering each 100-page story arc in 3 configurations: 3 digital issues for $6.66, a trade paperback for $16.66, or a bundle of both for $19.99 (digital issues were delivered monthly prior to the collected book's release). Breaking from the current app trend, Pizzolo offered the digital comics as DRM-free PDFs and CBRs. "Godkiller has a solid fanbase, and most of them bought the $20 bundle," explained Pizzolo. "When the audience is willing to buy into the whole series ahead of the first issue, they're giving the creator a huge springboard to take risks. You wind up writing for the audience instead of writing for an executive." 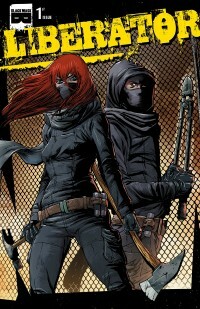 Pizzolo and Niles further developed what would become the Black Mask Studios model during a heated time in the history of comics. 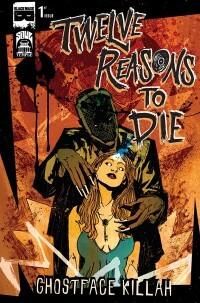 Within a single week, Ghost Rider co-creator Gary Friedrich lost his lawsuit for a share of the character's film revenue and was countersued by Marvel Comics to the brink of bankruptcy (Niles led a fundraiser to save Friedrich's home) and DC Comics launched a Before Watchmen prequel series against the wishes of co-creator Alan Moore (who also happens to be an Occupy Comics contributor). Against this backdrop, Pizzolo and Niles sought to craft the new company in a way that protects creators' rights. "We designed the company to be more creator-friendly than the majors, but less winner-take-all than the indies," Pizzolo told Wired. "We want to build a coalition where everyone can do their own thing but interests are aligned so we’re all in it together."